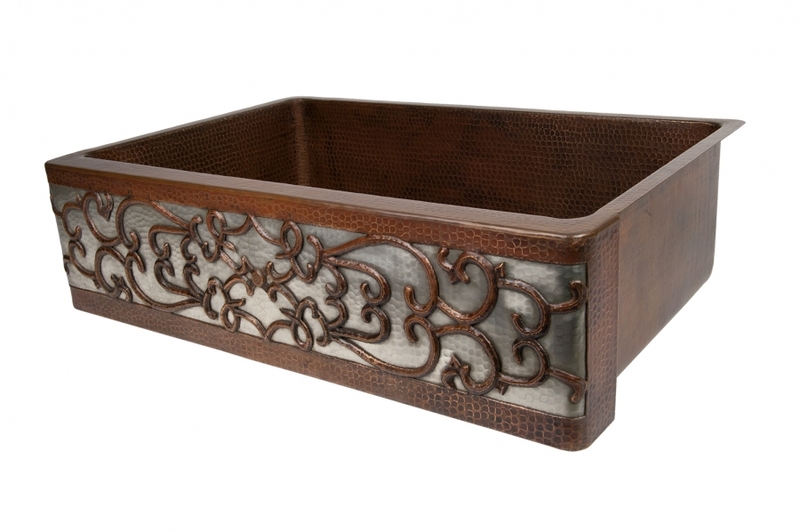 This large single sink basin has an elegant design over the apron front that will make a stunning impact to the kitchen. 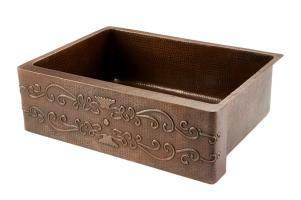 The copper material is a beautiful brown color and has natural bacteria resistant properties. The heavy duty quality ensures it will be in use and looking great for many years to come.